Recent amendments to the Drug Prices Control Order (DPCO), 2013, have fuelled concerns that the authorities might find it difficult to keep the prices of essential medical devices in check as multinational firms would now be able to use patent protection to exempt such equipment from price control for five years. According to a government notification, new drugs patented under the Indian Patent Act will be exempted from price control for five years from the date of the commencement of their commercial marketing by the manufacturer in the country. Twenty-three medical devices have been notified as drugs and are regulated under the Act. Of these, four have already been included in the NLEM. Addressing the media in the national capital earlier this week, Pharmaceuticals Secretary Jai Priye Prakash said the government was working to categorise more devices as drugs. The domestic medical devices industry fears that multinationals would now be able to use the law to register devices as ‘innovative’ and take advantage of price exemption. “Compared to drugs, where a new molecule or chemical entity is protected by intellectual property rights (IPR), the number of medical devices protected by IPR is much higher. Also, while the life of a patent is around 20 years, new generation technology replaces the earlier one sooner than that and manufacturers stop making the old generation product. 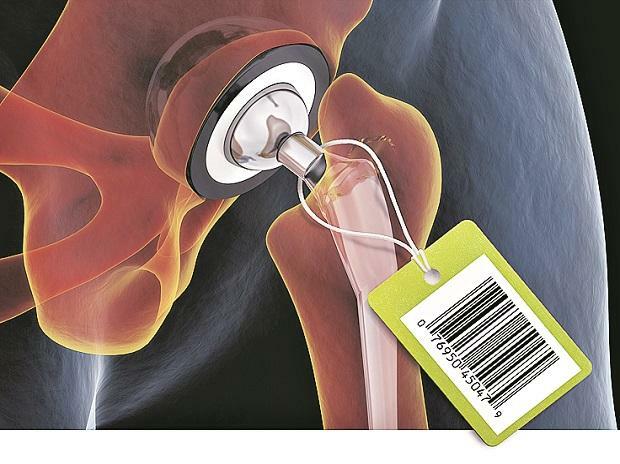 Moreover, process patents are very common in this space, and by making slight alterations in the delivery methods, devices are registered under patents,” said the head of a leading domestic medical device maker. The industry feels it is now imperative to differentiate between “radical” and “frugal” innovations in medical devices. “Judging radical versus frugal innovations in medical devices for the purpose price differentiation shall be a challenge for the National Pharmaceutical Pricing Authority (NPPA) as they do not have expertise on the subject. They must constitute a medical expert panel of doctors, engineers, scientists, NGO members, patent lawyers and Central Drugs Standard Control Organisation (CDSCO) officers who (can) analyse the submissions and differentiate the technologies that are truly disruptive and bring extra benefits to the patient,” said Gurmit Singh Chugh, managing director, Translumina Therapeutics, which manufactures cardiac stents. After a price cap on stents was introduced, Abbott discontinued its Alpine stents from the Xience family in April last year and has not introduced the Xience Sierra stent in India. Currently, Xpedition and Prime stents, under the Xience family, are available in India. Rajiv Nath, forum coordinator of the Association of Indian Medical Device Industry (AIMED), said that in order to allow any manufacturer or importer to sell a cardiac stent or any medical device at a price higher than what was notified by the NPPA, the government had earlier said one had to produce supporting clinical data. “However, now there is no need to provide clinical superiority data to seek circumventing applicability of price caps under the DPCO. They have been provided a five-year exemption window if their product or process is patented by India,” he added. According to the earlier norms, the exemption was applicable to products developed through “indigenous research and development”. An e-mail sent to the market leader in cardiac stents Abbott, asking if this would encourage them to bring in more innovative products to India and registers them under the Indian Patent Act, remained unanswered till the time of going to press. 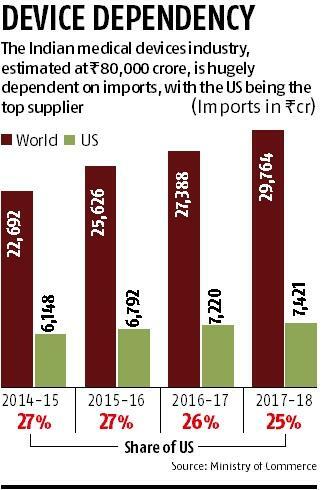 As such the Indian medical devices industry is completely dependent on imports -- India imports close to 75 per cent of its medical devices. “The market size of the domestic medical devices industry is around Rs 80,000 crore, of this around Rs 31,000 crore is imports. This value is without the duties and trade margins. Going by maximum retail price, the market size of the imported medical devices in India is roughly Rs 60,000 crore,” Nath explained. The pharma industry is divided in opinion at this point on the DPCO amendments. While the Organisation of Pharmaceutical Producers of India (OPPI), which represents multinational drug firms, welcomed the move, saying the government is “acknowledging research and development of new medicines to address the unmet medical needs of Indian patients”, the Indian Drug Manufacturers’ Association (IDMA) felt that this was detrimental to the government’s Make in India move. The Indian Pharmaceutical Alliance, which represents the leading domestic pharma companies, felt that the exemption for innovative drugs was applicable only if they were manufactured in India.